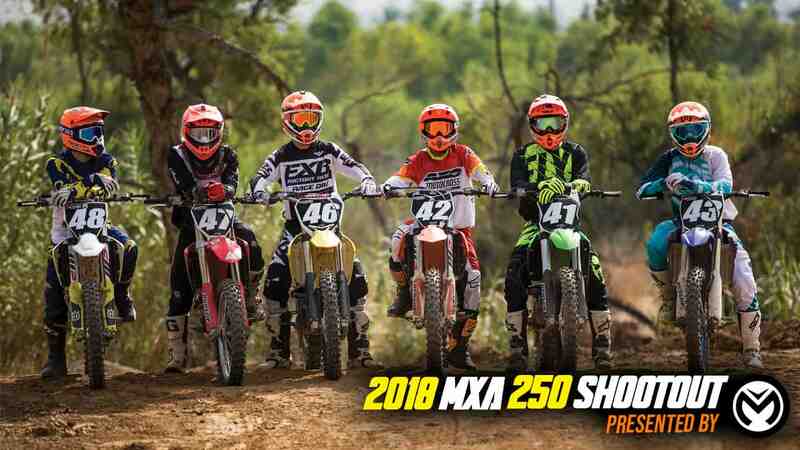 2018 MXA 250 SHOOTOUT: WHAT WORKS FOR YOU? No bike off the showroom floor is perfect. Every bike has its peccadillos, just like every human that inhabits the earth. New bike buyers need to be aware of this, because high expectations can guide you in the wrong direction. Sometimes an all-new bike’s allure can alter rational thinking. Sometimes a buddy can talk up his new bike, largely because he isn’t going to talk down something he paid 10 grand for. Sometimes the advice is coming from a bad source, and sometimes your favorite color is the wrong color—for your needs. The best advice when buying a new bike is to keep emotions out of it—just like the financial geniuses do when the market crashes and everyone pulls their money off the table. They take human emotion out and bet big—millions and billions big. To us, it seems crazy, but how do you think they got that much money to invest in the first place? To them, it’s a sure thing. They did their research and know that history repeats itself. They know that the market will bounce back, because it always does. Meanwhile, human emotions have others in financial turmoil. 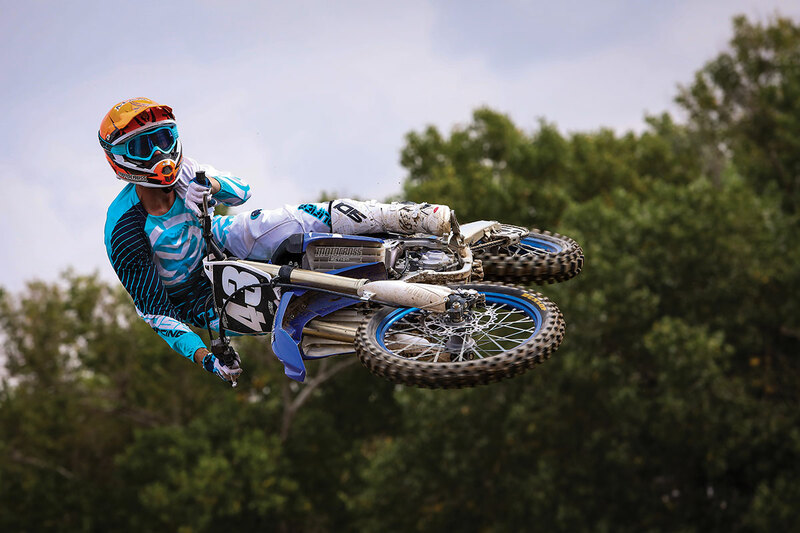 IF YOU TAKE EMOTION OUT OF YOUR PURCHASE CHOICE AND USE GOOD JUDGMENT WITH THE INFORMATION PRESENTED, YOU WILL FIND A BIKE THAT SUITS YOUR STYLE, POWER NEEDS, BUDGET, SUSPENSION WANTS, AND HANDLING TRAITS. If you take emotion out of your purchase choice and use good judgment with the information presented, you will find a bike that suits your desired riding style, power needs, budget, suspension wants, clutch feel and handling traits. But, you won’t find all the above in one package. Unicorns only exist in fairy tales and North Korea. What comes first on your priority list? Is it finding the best price? Then maybe avoid buying a new 2018 model or wait until the price comes down in 2019. There are plenty of 2017 and 2016 (and possibly 2015) models still on showroom floors that can save you thousands of dollars. I bet your wife likes the sound of that. Remember, happy wife, happy life. 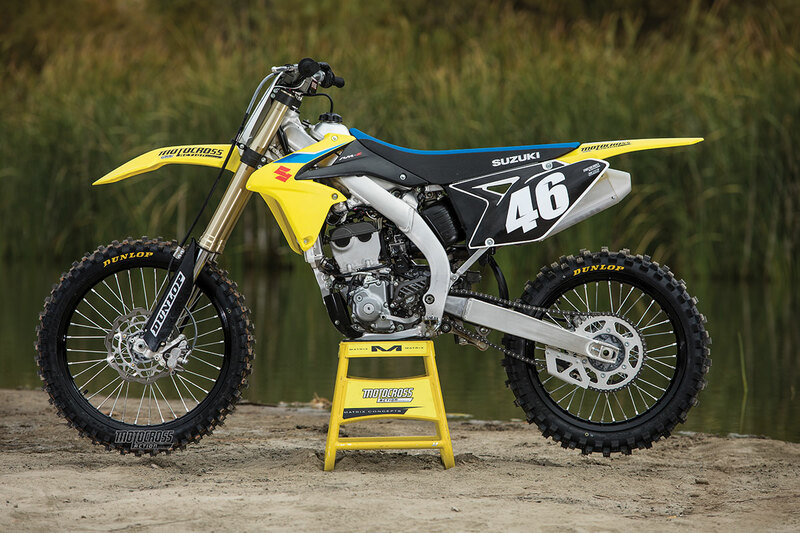 A perfect example is the 2018 Suzuki RM-Z250. Nothing about this bike has changed since 2016 other than accent colors and BNG. So, why buy a new one at full price when you can get an identical 2015 model on the showroom floor that will save you cash and actually put more power underneath you. Since no 250F in the class of 2018 is perfect, we are going to grade them on a bell curve. For those who don’t know, bell curve grading is a technique generally used in college classes where the student with the highest score gets a 100 percent or A+ even if he didn’t get all the answers correct. For example: If the highest scorer in the class gets an 80 percent on a test, the 20-percent difference from a perfect score is then added to the highest scorer as well as all the other students’ scores. If you’ve ever been graded on the bell curve, then you know it doesn’t usually work out that way. There is always that one peer who scores extremely high and ruins it for the rest of us. This system will only compare the 2018 250Fs against each other. We will compare their predecessors on occasion, but not when it comes to grading each bike. MXA has been in the business of giving our readers the hard facts since 1973. These facts have gotten us in trouble with the manufacturers many times. 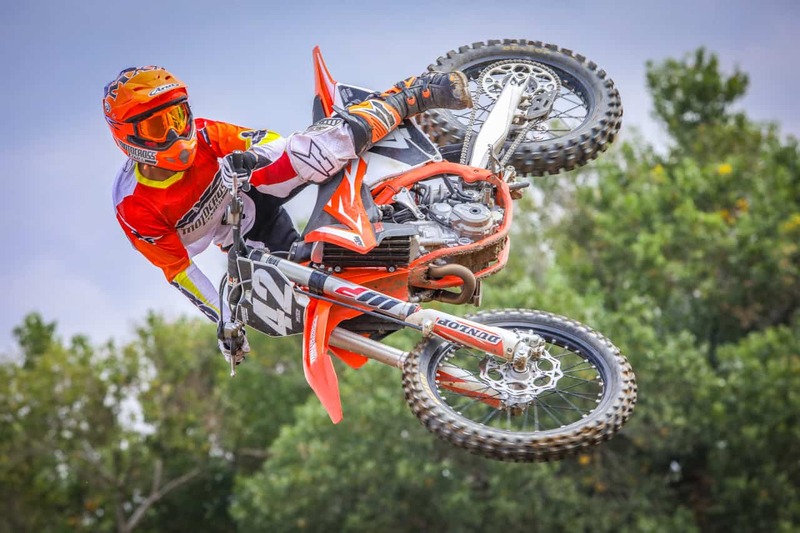 We have been called “Honda Action,” “Yamaha Action” and, most recently, “KTM Action.” People think we actually get paid big money from these manufacturers to rate their bikes higher on the charts. These people obviously haven’t seen the old high-mileage vehicles that we drive to work or the bad reviews we gave to Yamaha’s 2013 YZ450F, Honda’s 2009 CRF450 or KTM’s 2012 250SXF. 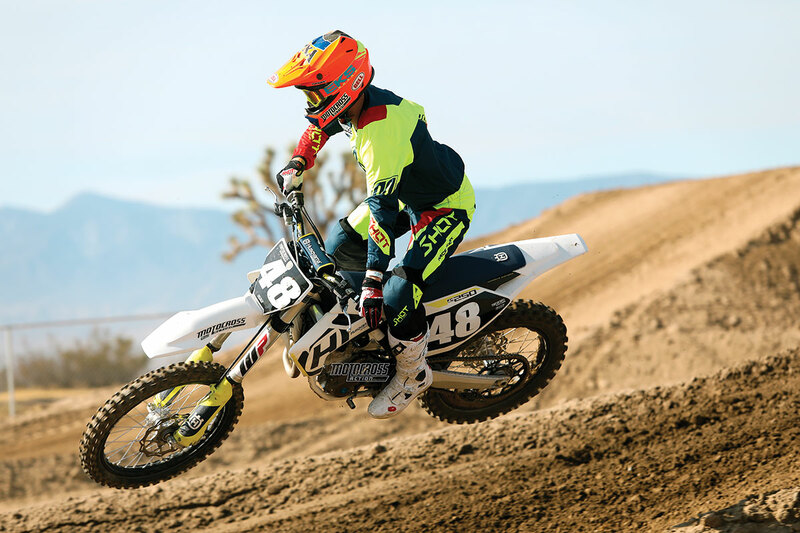 Truth is, the MXA test riders often cost our parent company money when they give their honest opinions about bikes, but our first responsibility is to our readers. If you want to know more details about a specific bike, click on the link in the header. Low-end: B- This is the 250SXF’s weakest point of the powerband. But, weak is an overstatement since the rest of its powerband is so good. Torque: B The engine could use a bit more torque, but we are not going to complain about it, because it’s better than some bikes that can’t touch it on top. Notes: This is an engine that favors faster, more experienced riders. Not because it is a bad engine for slower riders, but because only the faster riders will be able to efficiently use its 43.79 peak horsepower at 14,000 rpm. 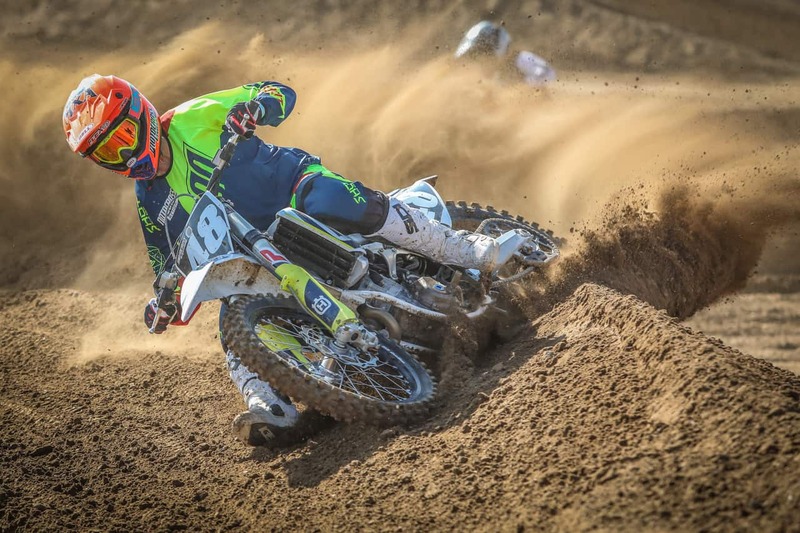 The YZ250F, KX250F and even the RM-Z250 have powerbands that are easier to manage than the 250SXF’s. 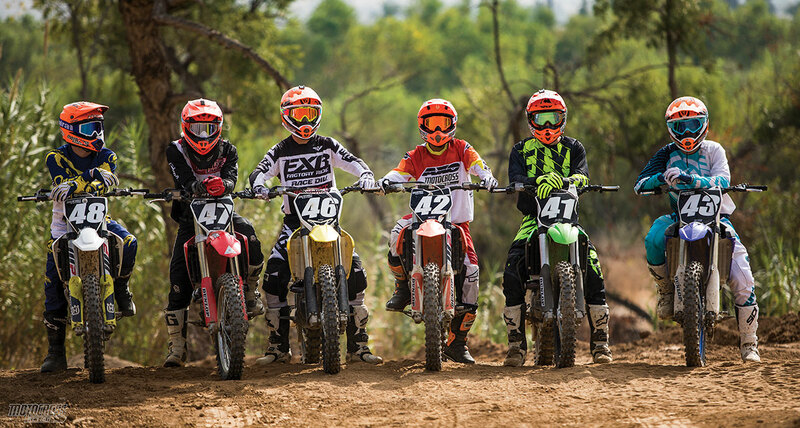 The 250SXF is a race engine. It you are a racer, no engine in stock trim will beat it. Even if you threw thousands of dollars at the Japanese engines, they still would not come close. Ergonomics: B The feel of the bars can throw the comfort off for some riders. Most don’t care, or they manage to get used to the feel. 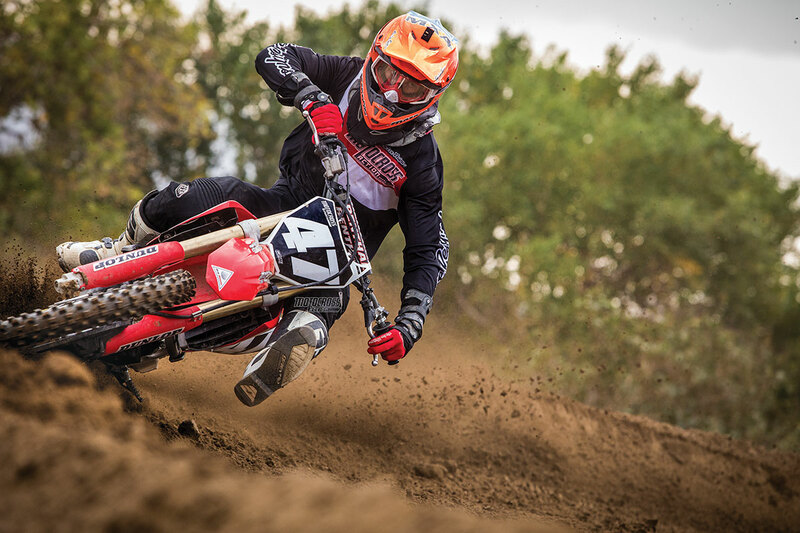 Other than the bars, test riders like the overall feel of the bike, but they don’t love it like the CRF250. Turn-in: A The planted feel allows the front wheel to get into the corners with grace and lean over with minimal effort. Apex: A Whatever input you give the bike at turn-in, it flows through to the apex of the corner with nary a wiggle. Corner exit: B The rear end tracks well, but the rigidness of the subframe and the input from the rear shock make the bike feel busy when accelerating at corner exit. 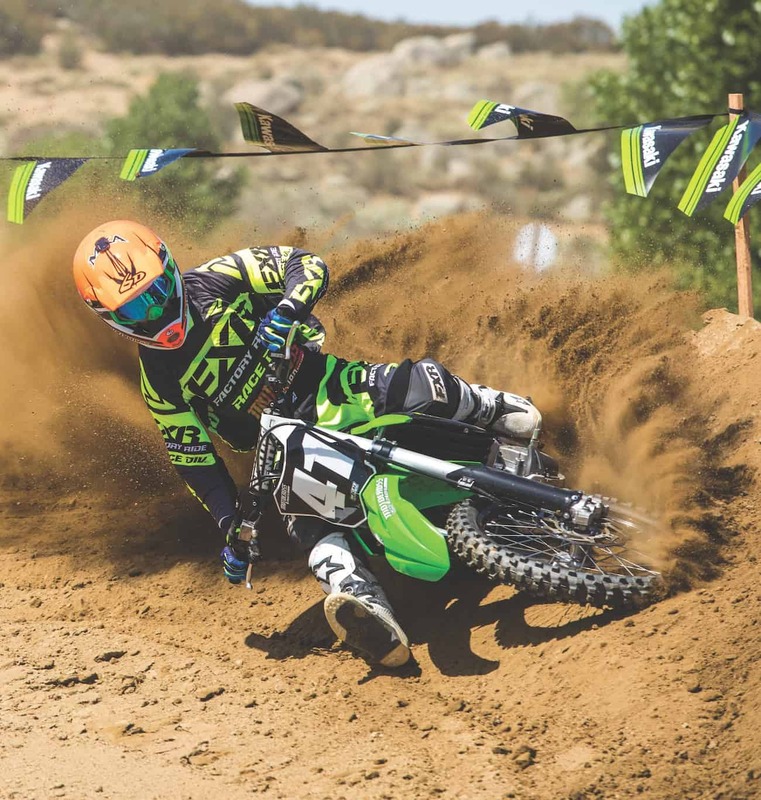 Overall turning: B Only the RM-Z250 and KX250F do it better. Line selection: A+ Just point, shoot and score. Planted feel: A The front wheel is glued to the ground. 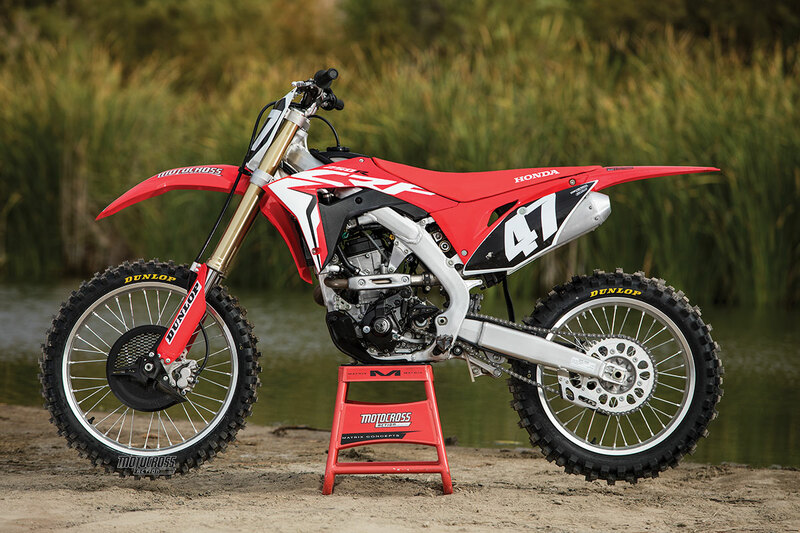 Overall feel: B Everyone likes the overall feel of the bike; however, the CRF250 and its brother, the FC250, feel better. Brakes: A+ Best brakes in the class. Notes: This is a chassis that is comfortable for the masses. 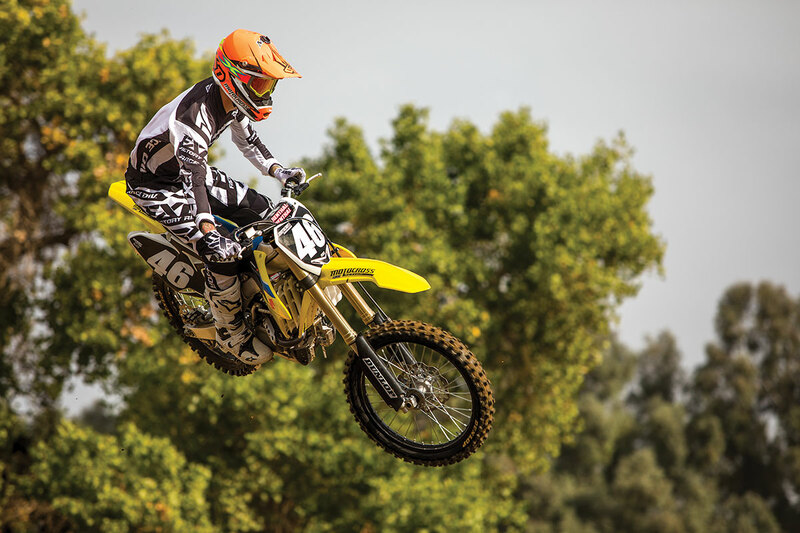 The bike is superbly balanced from front to rear, and the AER air forks can be tailored for a wide variety of riders. We love the front-end handling of the 250SXF, but we don’t love the rear. 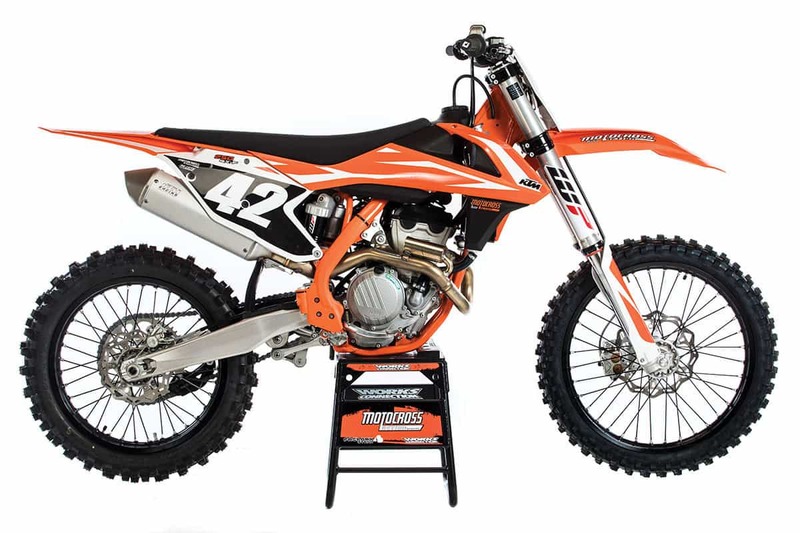 Forks: A These are the best air forks on the market and can compete with the best coil spring forks on the market. Shock: C The shock feels harsher than it is due to the stiff subframe. You feel this on the exit of corners, square-edge bumps and whoops. 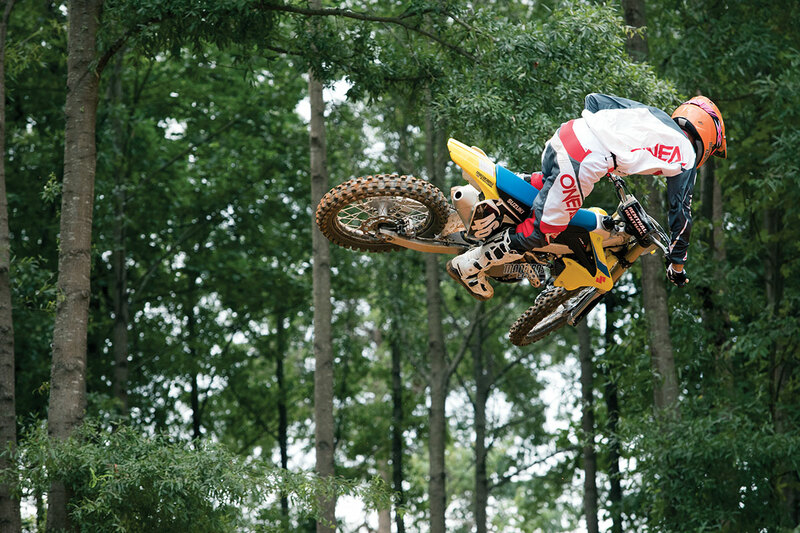 Balance: A+ The 250SXF has the best balance from front to rear of all the bikes. With just a few minor adjustments, this chassis comes alive. It can drive into corners with precision and be extremely stable at speed. Gearing: D The stock 14/51 gearing works well at the Bonneville Salt Flats but not on motocross tracks. Change the 14 countershaft to a 13. Maps: D We love the sophistication of the multi-switch, but only one map works well out of the three, and only KTM technicians are able to re-map it for you. Noise: B Not too loud; not too quiet. Tires: A We love the Dunlop MX3S tires, front and rear. Price: D Are you willing to spend $750 more on a new bike compared to the Japanese competition? Every dollar is worth it, but if it were in the same price range as the competition, the KTM would be the only bike sold. Weight: A+ At 218 pounds, this bike is the lightest in its class. Rank in class: First place. Low-end: C- The low-end gets muted by the FC250’s restrictive plastic airbox. The engine has more to give, but it is suffocated for air at low to mid rpm. Midrange: C If you want KTM-style power out of your Husky, drill holes in the left-side airbox cover. If not, the midrange will be softer than the 250SXF’s. Top-end: A The FC250 engine thrives at high rpm. The power builds effectively and puts monstrous power at the rider’s fingertips. Over-rev: A+ The trick to riding this bike is to refrain from shifting as long as you can, because its peak horsepower is made at 14,000 rpm. Torque: B The torque gets affected by the closed-off airbox as well. Clutch: A The hydraulic self-adjusting Magura clutch is great, although the slave cylinder has been known to fail. Overall powerband: A Great potential, but poor execution on Husky’s part. Overall usability: C This is an easy engine to ride. It is soft yet powerful. You will get the most out of this once the holes are drilled in the airbox and a 13-tooth countershaft sprocket is mounted. 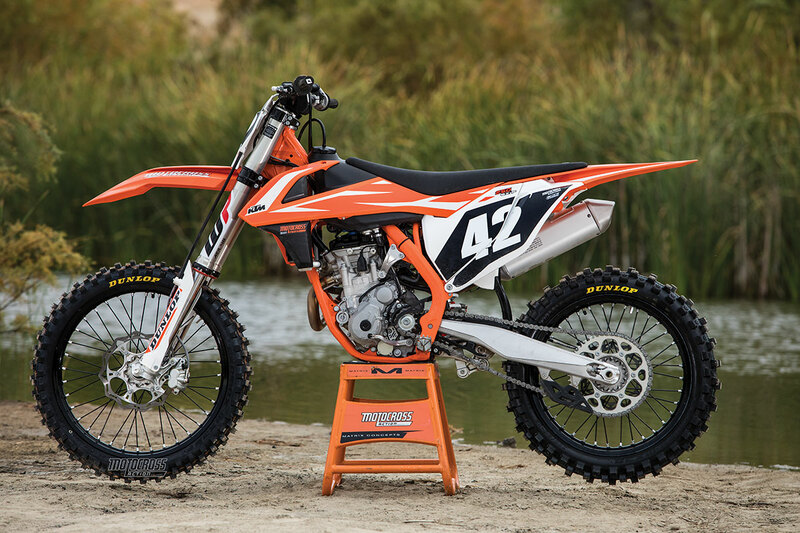 Notes: This engine is identical to the KTM 250SXF engine. It is the most high-performance 250F engine offered on showroom floors. Although the FC250’s engine performance is hindered by its restrictive airbox and use of super-tall gearing, it should not be docked severely since the changes necessary are so simple and cheap. If you buy this bike, make sure you own a drill and switch the 14 countershaft to a 13 before even riding it. These changes make a world of difference. Ergonomics: A Most riders are more comfortable on the FC250 than its brother, the 250SXF. This is due to its lower and wider seat and lower bars. The seat, however, is a lot harder, and some riders will complain about it on the track. Turn in: A Since the rear sits lower than that of the 250SXF, you must raise the sag and drop the forks into the clamps to get the same great turn-in. If you run the identical settings as on its brother, the front end won’t have enough weight on the front wheel to have the desired turn-in. Apex: A Once you’re in, you’re in. The rear end follows the front, doing everything right. Corner exit: A The Husky exits a corner with ease, even under acceleration. Overall turning: A Once the bike is set up correctly, it turns with very little input. 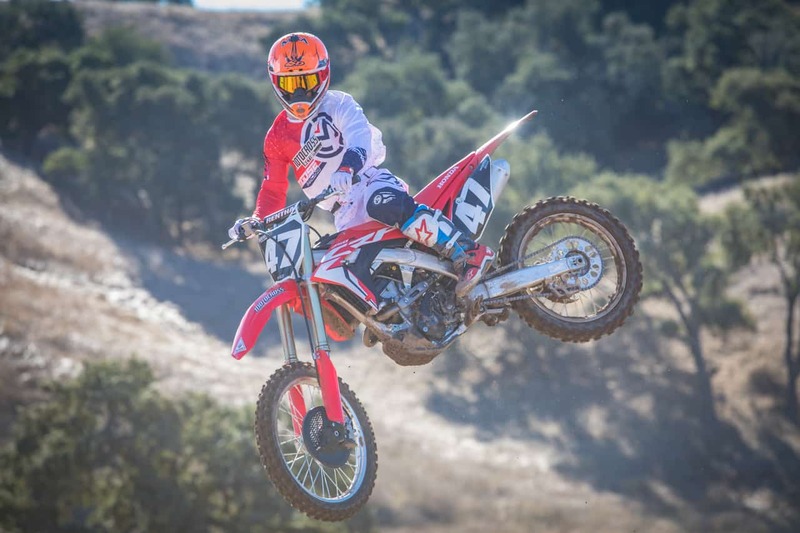 Line selection: A The well-balanced chassis and top-notch suspension make getting into your chosen line easy—although, the Honda CRF250 does it better. Planted feel: A Are the tires glued to the ground? Overall feel: A It must be said that, like the KTM 250SXF, it has a much different feel from a Japanese bike. This is not a bad thing. The hips of the FC250 are wide but can be used to your advantage. Once you get used to the feel, chances are you will like it better. 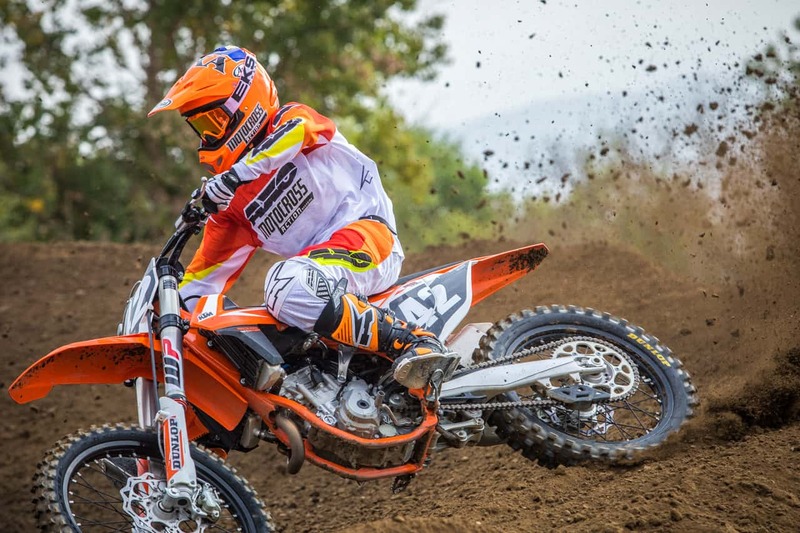 Brakes: A These brakes are just as good as the KTM 250SXF brakes. The rotors are a bit heavier for durability purposes. Notes: This is a more forgiving chassis than the KTM 250SXF offers. 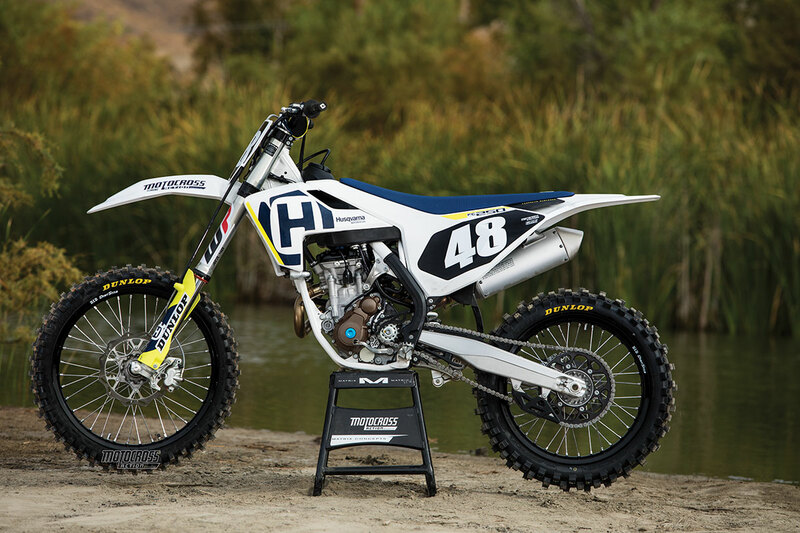 Every rider likes the overall feel better—although, to get the Husky to handle like the 250SXF, a few chassis changes must be made. Forks: A The 48mm AER air forks are awesome. They have great bottoming resistance. They are plush and progressive. They are functional for the masses, and they are easily adjustable. Shock: B The feel of the shock is good. It works well with the forks and absorbs chop well. Balance: B This is a well-balanced bike front to rear. Gearing: F The super-tall 14/51 gearing is also on the 250SXF, but it is much worse on the FC250. This is due to the engine’s inability to breathe in order to ramp up rpm quick enough. The slow build-up of power and the tall gearing do not mix. Spend the $20 on a 13-tooth countershaft sprocket before leaving the dealership. Maps: F Why are there three maps with only one good one? The stock map needs to add power where the engine is lacking—in the bottom end. Don’t bother with the soft map unless you are riding on an ice rink. Noise: A The bike sounds quiet due to its restrictive airbox. 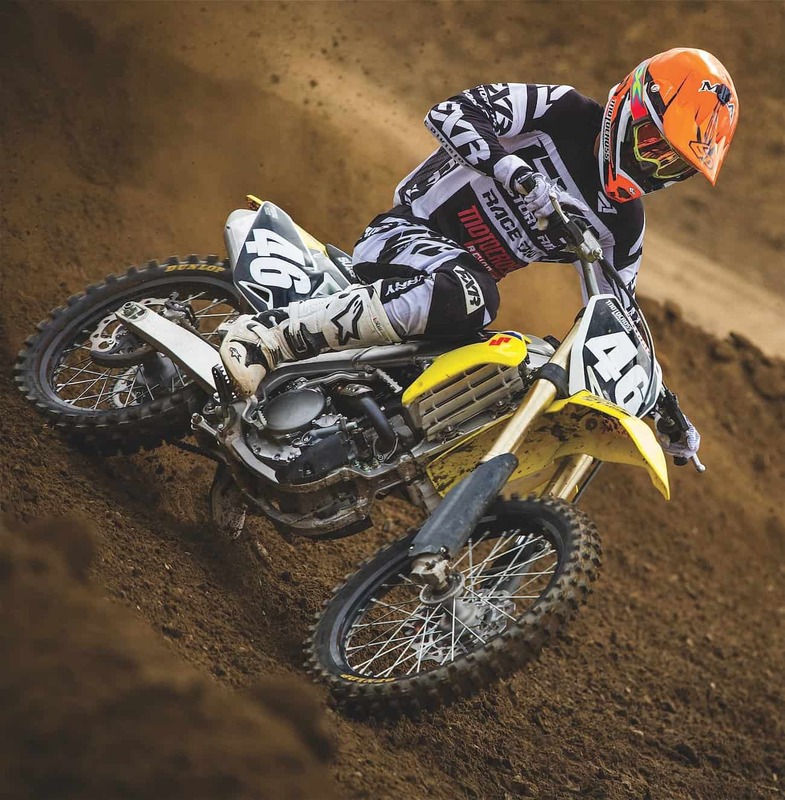 Tires: A The Dunlop MX3S tires are great in many different riding conditions. Price: F At $8599, the FC250 is the most expensive bike in its class. If you are a serious racer, it is worth the money to have a light, high-horsepower engine with a hydraulic clutch, super brakes, incredible handling, easy to use air filter, solid shifting and great suspension. If not, you might consider saving the cash. Weight: A The FC250 weighs in at 220 pounds. It is 2 pounds heavier than the 250SXF due to its plastic subframe and beefier rotors. Rank in class: Second place. Low-end: A+ This engine has the best low-end in its class. The snappy throttle keeps your finger off the clutch and makes for an easy bike to ride for the masses. Midrange: A This engine has a great midrange hit that is easy to find and gives you that extra boost whenever you need it. It makes the powerband fun and playful. Top-end: C The downfall of having a powerful low-to-mid engine is that it will rev through its powerband quickly. 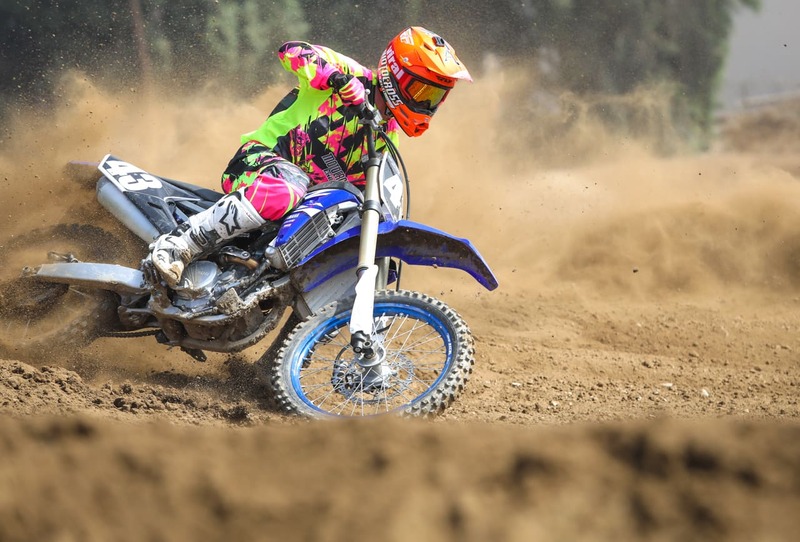 You need to short-shift the YZ250F to keep the power moving forward. Over-rev: D When you rev this engine out, it falls on its face. You have to shift this bike or all the weight will move forward and the rear end will dance around. Yamaha should at least try to make the over-rev flat. It would make rider mistakes easier to recover from. Torque: A This engine gets up and goes. Clutch: B You would think the low-end power would be tough on this clutch. For a Japanese-made bike, it can take a beating. Overall powerband: C We love the bottom-to-midrange power, but it revs throughout the power too quickly without any over-rev to bail it out. Shift points need to be perfect to use its power efficiently. Overall usability: A Every test rider loves to ride this bike due to its exciting engine characteristics. 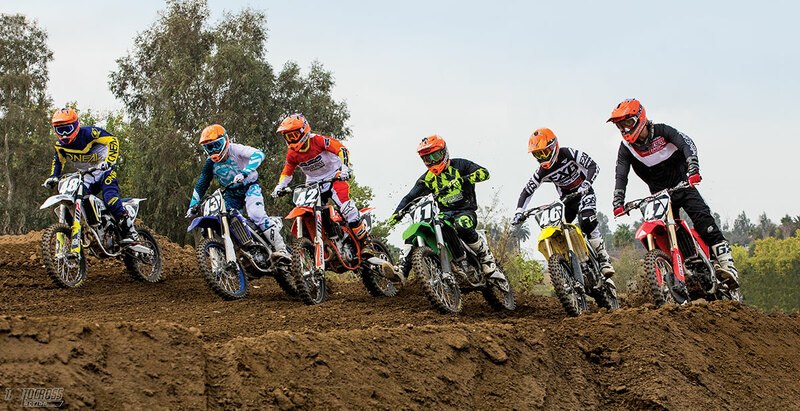 The YZ250F engine is like the guy who gets along great with everyone. No one ever has anything bad to say about him. 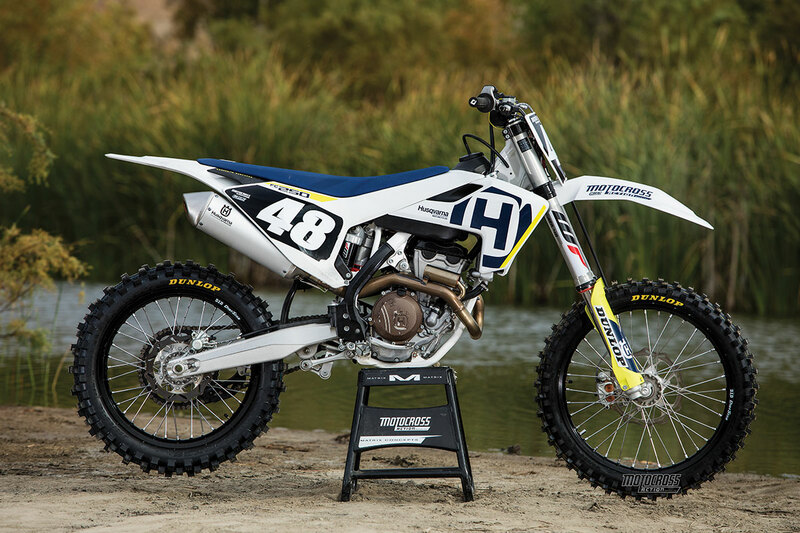 Notes: This YZ250F engine has lots of personality but lacks character. Everyone loves riding this bike because it has a fun, usable powerband, but it is hard to get the most out of it with the lack of top-end. Lazy riders will not like racing this bike, but they will like riding it. Ergonomics: B This is the widest bike in its class. The wide radiators make it feel bulky. Some riders didn’t mind the wide-load feel, but most do. Everyone, however, wishes it were skinnier. Turn in: C Many testers put more weight on the front end to get into the corners better by raising the forks in the clamps a few millimeters from stock. 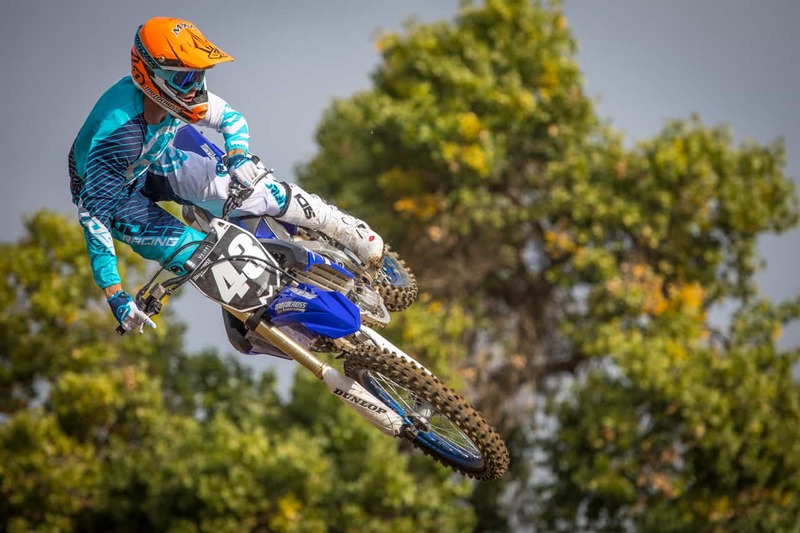 You have to use more rider input to get into the corner with the YZ250F than any other bike. Apex: C If you aren’t locked in the corner with good body position, then there is a chance the bike will stand you up on the apex of the corner. Corner exit: A If you make it through the middle of the corner smoothly, the exit is easy. The rear end tracks like glue out of the corners with the shock absorbing anything in its way. Overall turning: C This is not a bad-turning bike, but it is the worst in its class. Line selection: C It can be hard to find your line if there is not enough weight on the front end. Planted feel: A The rear end tracks like glue; the front end is hit-and-miss. Overall feel: C It is wide, doesn’t corner accurately and there’s nothing about the chassis that makes it stand out. Brakes: D They will stop you, but they won’t impress you. 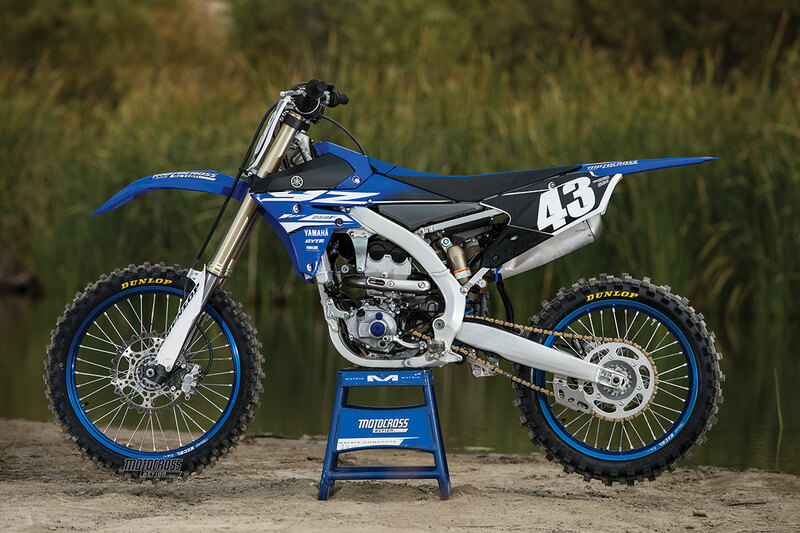 Notes: It is a love/hate relationship with the YZ250F chassis. We love the suspension that the chassis is resting on, but we have to be on top of our game to corner the bike as well as the class leaders. We don’t want to work for it when we don’t have to on other bikes. Forks: A+ We love the Kayaba SSS spring forks. These forks do nothing wrong and work great for just about everyone. Shock: A+ This is by far the best shock in its class. Balance: B You can find a balanced setup very easily. Gearing: A This gearing is perfect for faster riders. Our slower Vet testers went from a 50- to 51-tooth rear sprocket to give it some more fun factor. Maps: B The YZ250F only has one map, but you can utilize the easy-to-use GYTR mapping tool to give you your desired result. Plus, we don’t have much of an issue with the stock map. Noise: D The reverberation from the airbox sounds like boom-box speakers. It is loud. Tires: B We like the tried-and-true Bridgestone 403/404 tire combo. 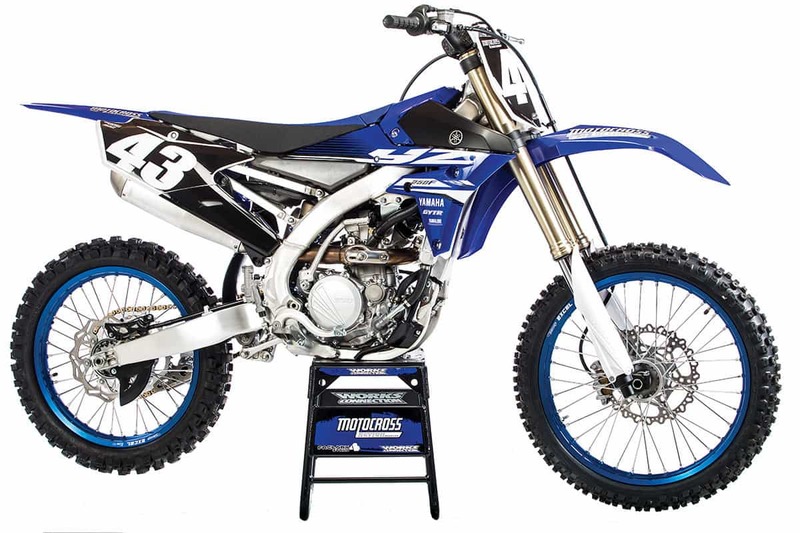 Price: A At $7699, the YZ250F is the least expensive bike in its class. 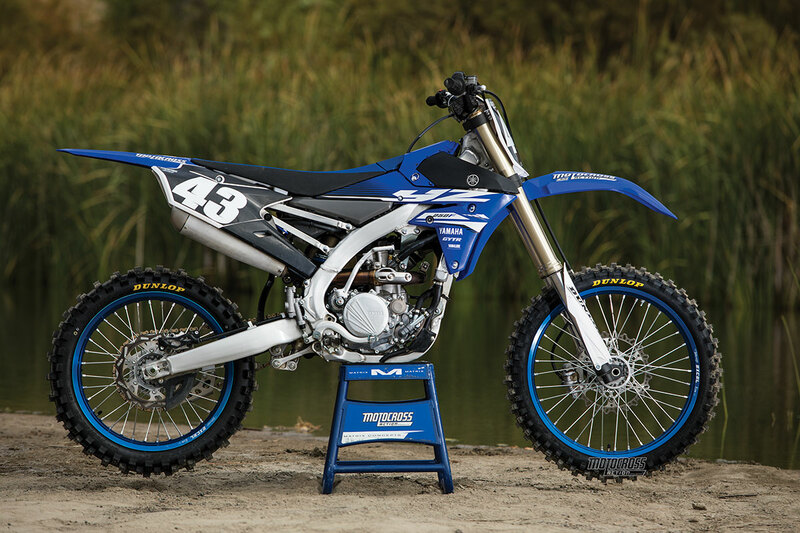 Weight: C At 222 pounds, the YZ250F is 4 pounds heavier than the KTM 250SXF. And that’s without an electric starter. 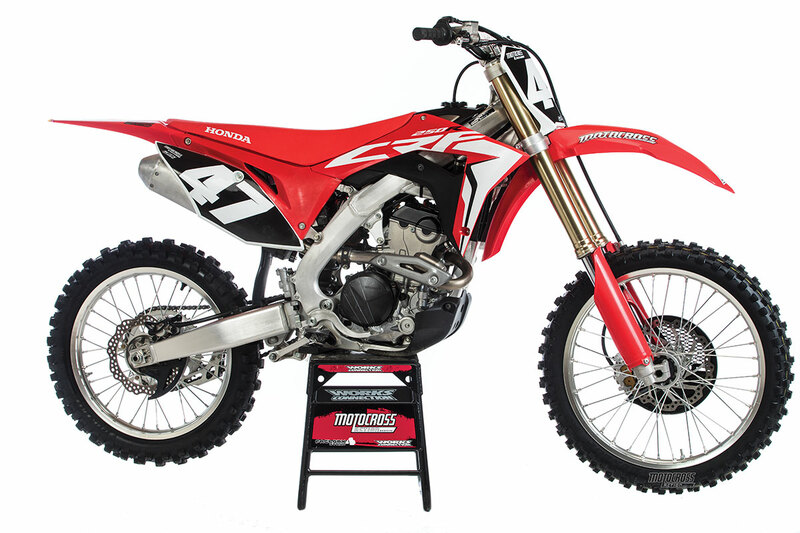 Conversely, it is 4 pounds lighter than the CRF250. Rank in class: Third place. Low-end: F What low end? 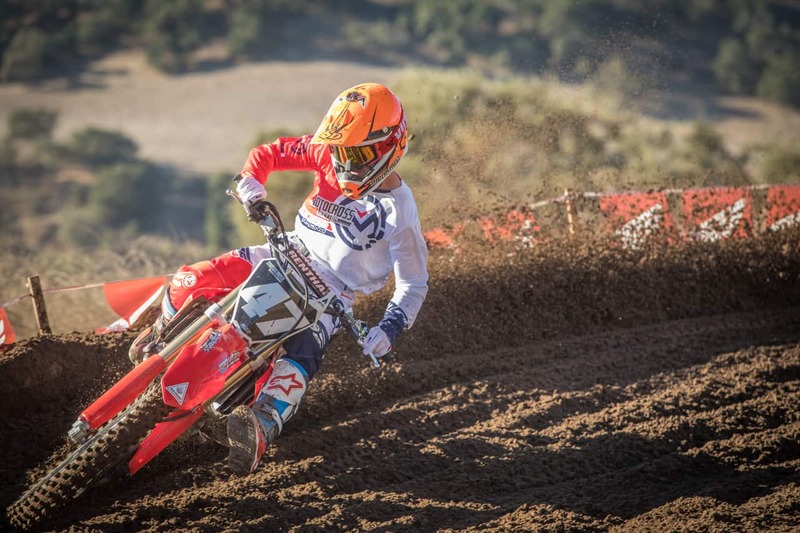 The CRF250 is off an average of 4 horsepower from 7000 to 9000 rpm compared to the competition. Midrange: C- The engine just starts to wake up at 10,000 rpm. Top-end: B It is as good as the YZ250F and KX250F, but not even close to the FC250 and 250SXF. Over-rev: B- It has over-rev, but it is flat. Torque: F There is no get-up-and-go—zero, zip, nada, none. Clutch: B This is the best Japanese clutch. It takes a beating. 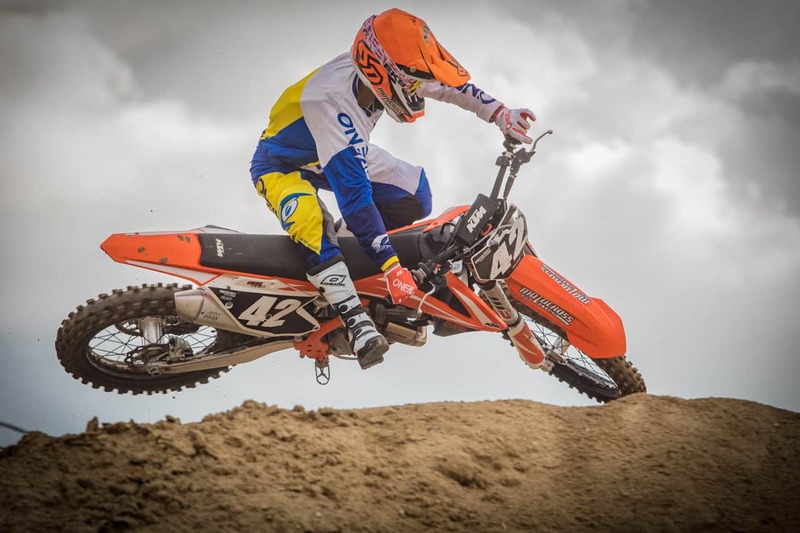 Overall powerband: C The powerband reminds us of a dated 125cc two-stroke engine. You have to keep the rpm up and a finger over the clutch at all times. Overall usability: C The 2017 CRF250 engine was much more usable and easier to ride than the 2018 engine. This is an all-or-nothing powerband with a small sweet spot that has to be found by abusing the clutch. Notes: You can manipulate the power with lower gearing to shorten the gear ratios. This allows you to find the small, short, high-rpm sweet spot more often, although it can make the engine feel jumpy. An experienced rider can get the most out of this engine, but it is not a user-friendly engine by any stretch of the imagination. Ergonomics: A+ Short, tall, fat and small riders love the feel of this bike underneath them. Turn-in: B It lays into the corner with ease but has a tendency to oversteer and feels a bit high in the front. Apex: B The less you try to turn at the apex of the corner, the easier it will come. If you try to lean into it, the front end will hook up and oversteer. Corner exit: B The more consistent you are through the middle of the corner, the easier it will be to come out smoothly. Overall turning: B This bike has an oversteer issue if you don’t raise the front and drop the rear. Even then, it can be hard to make it smooth in the corners. There will be times when you feel like this is the best-cornering bike in the class. Then, in the next corner, you will think it’s the worst. The bike lacks consistency. Line selection: A Point and shoot. Planted feel: A The front tire has good input to the bars. Overall feel: A The feel of this bike is its saving grace. Everyone loved how this bike felt. Brakes: C They are average. Notes: This chassis is unbalanced out of the crate. It sits high in the rear and feels twitchy at speed. We lower the rear and raise the front to balance the bike. Although it makes the front end feel a bit tall, it makes the overall chassis feel effortless when riding. Forks: A These forks are awesome. They absorb small chop, get progressively stiffer without any harshness and have above-average bottoming resistance. Shock: B We like the shock, just not as much as the forks. It does everything well but nothing great. Balance: A In stock trim the bike has a stink bug feel. To find the perfect balance, you have to drop the rear. Once we did that, the front and rear worked in harmony together. Gearing: D Stock gearing is a joke. The 13/48 is too tall for just about any rider. Running a 49-tooth rear made the sweet spot of the powerband more usable for faster riders, while a 50-tooth sprocket was better for the slower riders who don’t carry as much speed through corners. Maps: A All three maps have a purpose. Plus, with the Honda EFI tuning kit you can re-map Map 3 to your liking. Noise: A The dual pipes muffle the sound, but there is some irritating engine noise at high rpm. 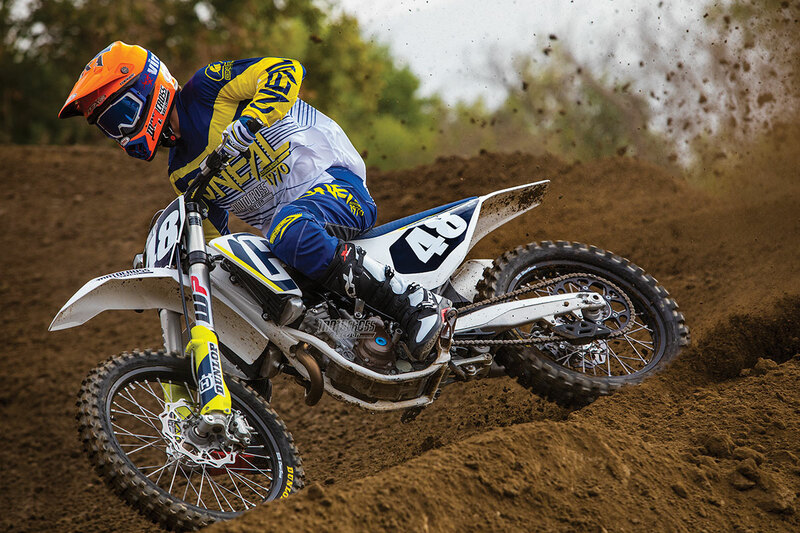 Tires: A We love the Dunlop MX3S tire combo. Price: C The price has risen with the addition of electric starting. 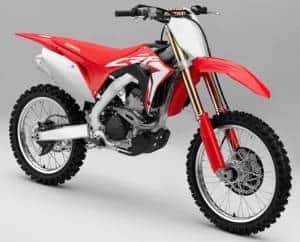 The 2017 CRF250 was $7599, and the 2018 model is $7999. Most riders will pay the $400 premium for the magic button. It sure is a heck of a lot cheaper than installing an electric starter yourself. 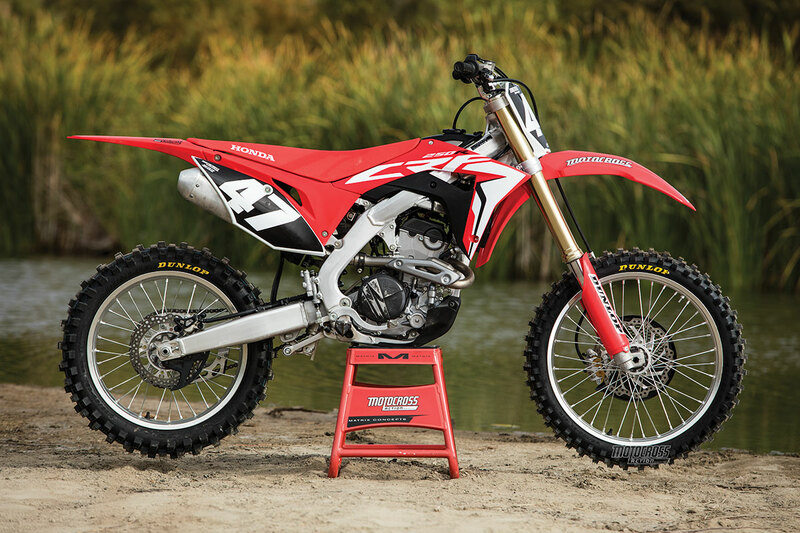 Weight: F At 228 pounds, the CRF250 is the heaviest bike in the class by 2 pounds over the second heaviest, the RM-Z250. 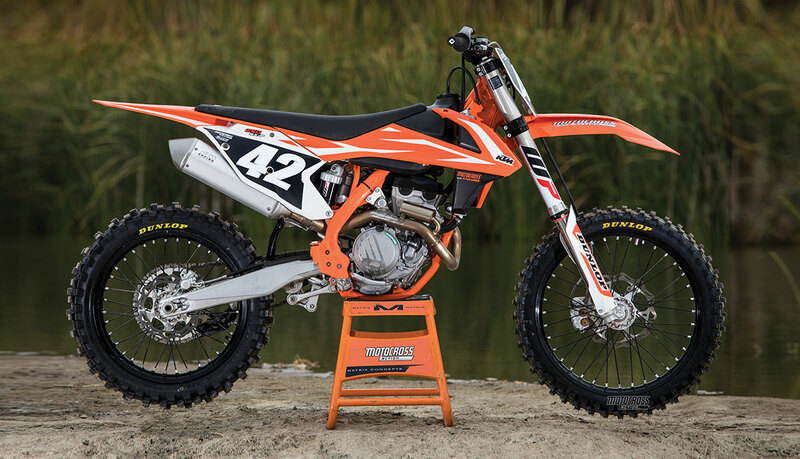 It costs big money and time to trim weight off, and the KTM 250SXF is 10 pounds lighter than the CRF250. That is a huge difference, but Honda did a good job of making it feel light on the track—that is, until you hit the ground. Rank in class: Fourth place. Low-end: C With stock mapping and gearing, we had to downshift twice coming into corners. Going up one on the rear and using a different map improved bottom-end, lessened shifting and allowed the KX250F to exit corners with more power. 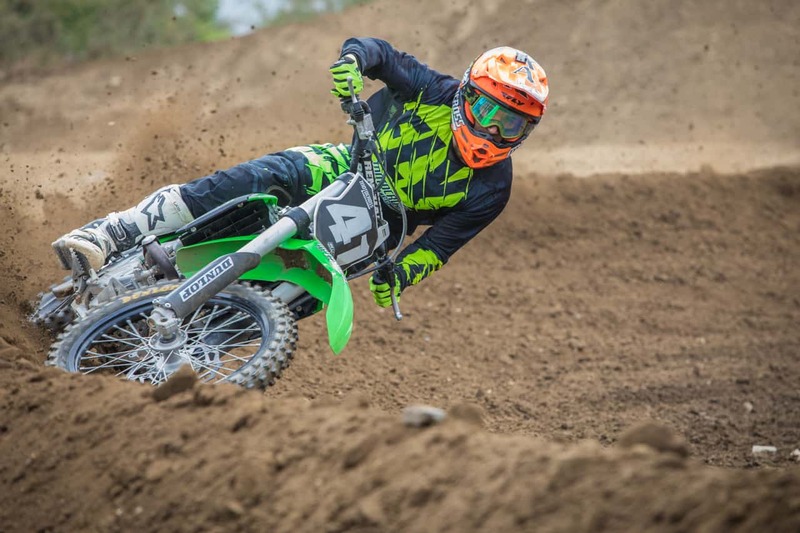 Midrange: B We still miss the excitement of the 2016 KX250F engine. For 2018 Kawasaki made some refinements that boosted midrange power. It is solid, but we still want more. 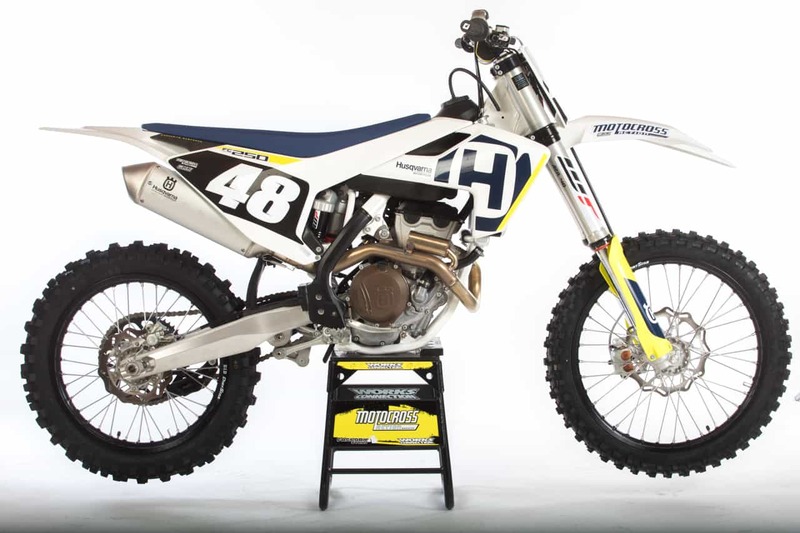 Top-end: B This engine is actually not as powerful as the YZ250F on top, but it feels like it on the track. 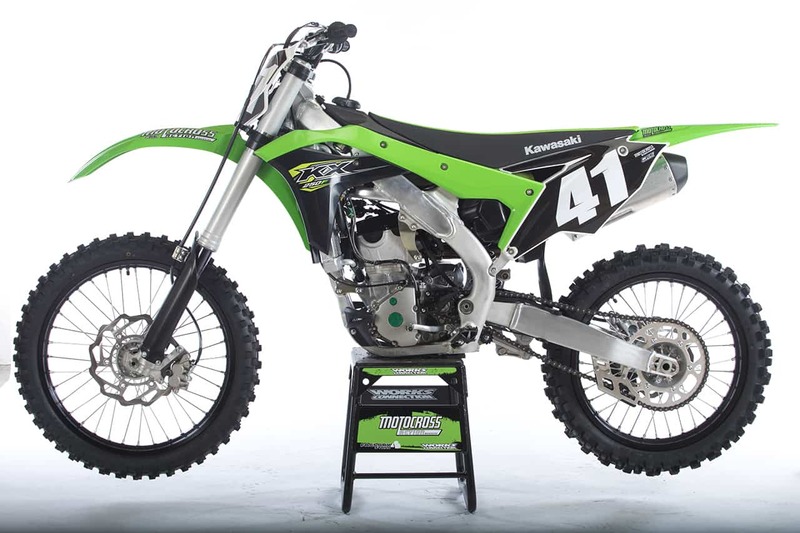 The KX250F engine’s power ramps up slower, making the powerband longer, so the shift points can be used later. Over-rev: B This engine may not rev as far as the CRF250, but it pulls every second of the way, unlike the CRF250. Torque: B This engine offers decent torque numbers, but it needs more to make it exciting again. 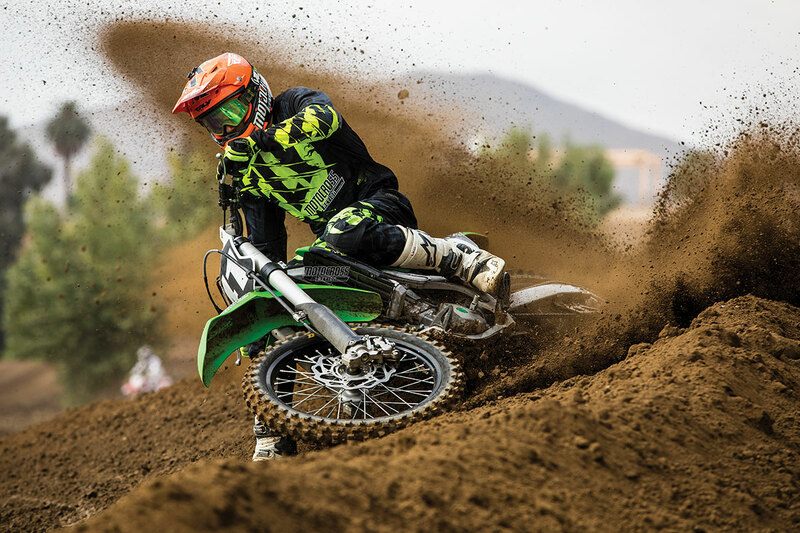 Clutch: D With the added midrange power over the 2017 KX250F engine, the power increase makes the clutch work harder. It doesn’t last. Overall powerband: B It is smooth, easy to ride and doesn’t have any major weak points. It also doesn’t have any strong points. Overall usability: B This is the easiest engine for any rider to get the most out of. Notes: This engine has mapping issues. The stock map is too lean, and no test rider liked it. We found a map that works great. You can find MXA’s 2018 Kawasaki map in the November 2017 issue. If you don’t want to spend the money to buy the tool, your authorized dealer should be able to map it for you. Ergonomics: B This bike feels like you sink into it when you sit down into a corner. The seat height feels low and the bars feel high in comparison to the other bikes. It seemed to help in the corners as the center of gravity is low. Other than that, the KX250F chassis is very adjustable. You can adjust footpegs to two heights and the bars to four different positions. Turn in: A The forks make it hard to get into your lines, but, once in, this bike carves. Apex: A It flows through the apex with ease. Corner exit: A No issues at all. Overall turning: A We love the way this bike turns from in to out. Line selection: C We feel the harsh spot in the forks makes it hard to be as accurate as you could be on a bike with better damping. The front end likes to bounce around and doesn’t settle. Planted feel: C It is hard to keep the bike connected to the ground. 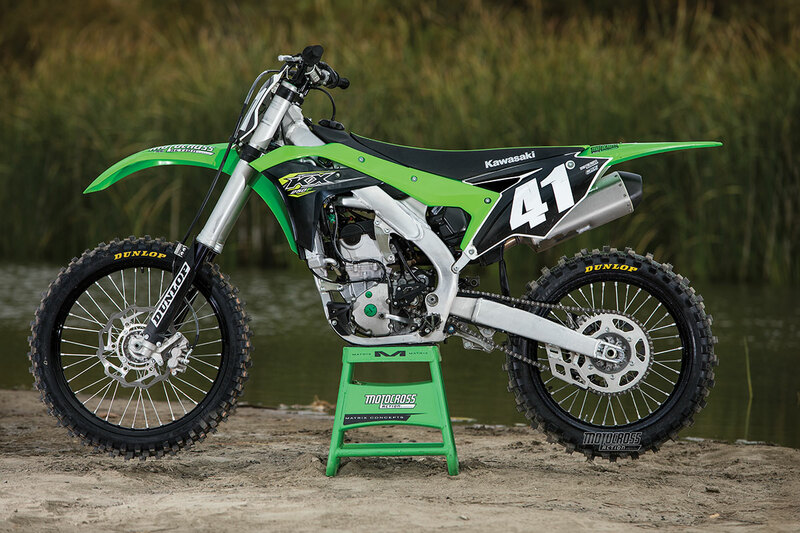 Overall feel: B We love that the KX250F has chassis adjustments to suit rider preference. Brakes: B They are average. Notes: This is a good-handling chassis with less than mediocre suspension underneath it. We love the way it flows through the corners effortlessly, but we hate trying to get in them. It is the narrowest bike and feels very light and flickable in the air. Forks: C These are good forks with bad settings. They have a mid-stroke harsh spot that you can’t get around. It destroys the entire handling of the bike. Shock: C Like the forks, the shock has a bad setting as well. Kawasaki should use last year’s setting. Balance: B The forks and shock may not handle all that well, but they work together okay. Gearing: B If this engine lacks anything, it is bottom-end. To help this, we went from a 50- to 51-tooth rear sprocket. We have to shift more, but it is worth it. Maps: D None of the stock maps were good. You can change this by using the Kawasaki tuning tool or going to your local dealer. Noise: B We don’t mind the noise. Tires: A Dunlop MX3S tires come standard, front and rear. 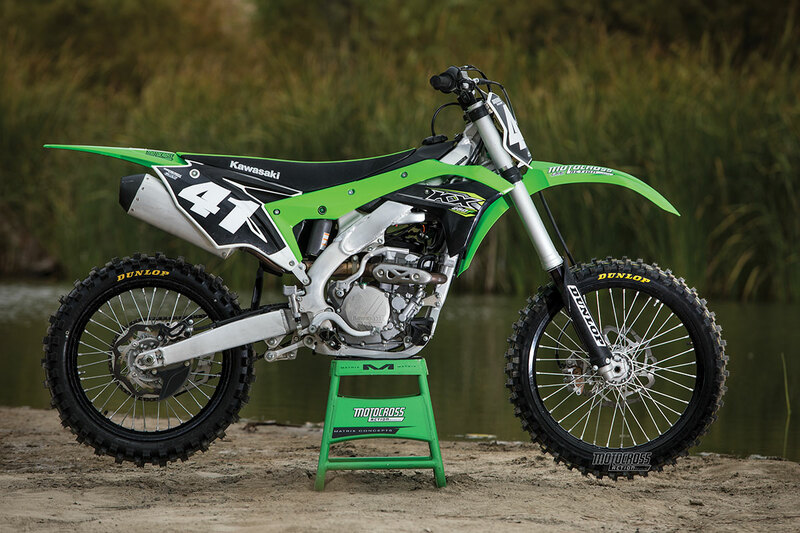 Price: B At $7749, the KX250F is reasonably priced. Weight: B This is the lightest Japanese 250F at 221 pounds. It is only a pound off the FC250. Rank in class: Fifth place. Low-end: B This is the best part of the powerband. It has good response and charges hard off the bottom. Midrange: C The midrange power is short-lived and falls off fast. Top-end: F At 38.35 ponies, this engine has the lowest peak horsepower in its class. It gives up the ghost early on in the rpm range. Over-rev: F This engine has no over-rev. It doesn’t fall on its face too much, but you have to short-shift to get the most out of the engine. Torque: B This is the engine’s biggest helper. 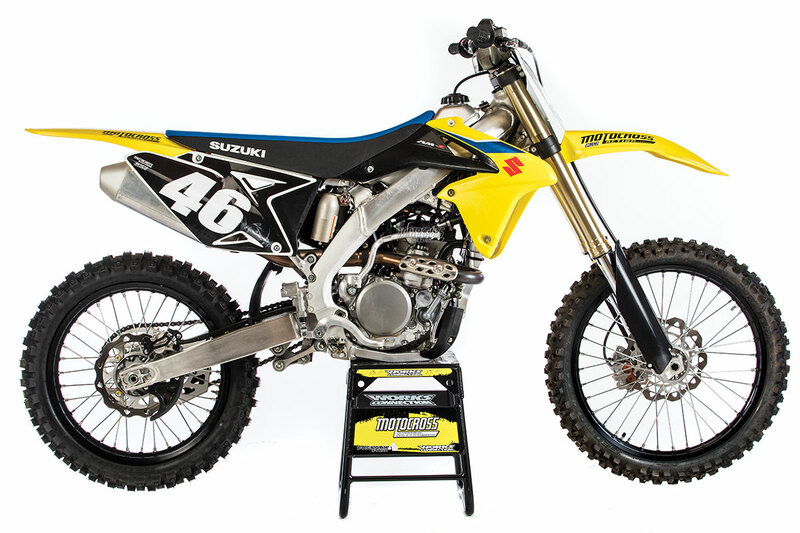 Without it, the RM-Z250 would have to be classed as a play bike. Clutch: D The weak engine tears up the weak clutch. Overall powerband: D Test riders thought that half the powerband was missing. It starts off strong, but, just when you think it is going to take off, it signs off. Overall usability: B This is the easiest bike for any rider to get the most out of. It just doesn’t have that much to give. But, for entry-level riders, this is the easiest bike to ride. It has its place in the market, but no serious racer would be crazy enough to buy one. It has a serious performance disadvantage. Notes: We want to like this engine—we really do. It can be fun to ride, and it feels like you’re going really fast, but that doesn’t last long. The 2018 RM-Z250 engine needs to be used as a doorstop. This engine isn’t in the same league as its current competition. Ergonomics: B Everything feels good, but nothing feels special. Turn-in: A Everyone loves the way this bike gets into a corner. It is effortless. If you have the stock MX52 front tire on it will push, but remember, it is the tire, not the chassis. Apex: A It is hard to mess up. Corner exit: A It’s like you don’t even have to try. Overall turning: A This is the best-turning bike in its class. It has been for years. We love it; however, the great turning takes away from straight-line stability. Line selection: B It gets you where you need to go. Planted feel: C It has a tendency to dance around a bit at times. Overall feel: B Nobody had any big complaints about the feel of the bike, mostly because the bike is not powerful enough to negatively affect the chassis. Brakes: D These are the worst, most outdated brakes in the class. Notes: This is a middle-of-the-road chassis. It does nothing bad and turns exceptionally well but gives up stability at speed. If your number-one priority is cornering, this bike is for you. Forks: C The standard air pressure of the forks is way too stiff for most riders. Once we found a good psi setting, we went softer on compression as well. Good luck getting to the clickers that are underneath the handlebars. They are a nuisance. Shock: B We like the shock. Balance: B Once we lowered the air pressure in the forks, the balance of the bike was better. Gearing: A Stock gearing is the best gearing for the bike. Maps: B The RM-Z250 has three different maps with two of them being plug-in couplers. Each map is useful in some way. Noise: A It purrs like a kitten. Tires: D The Dunlop MX52 front tire is not good. This tire is a left-over tire from three years ago. It takes away from how awesome this bike turns. Price: C For the most dated bike, it should be the cheapest. It is not. At $7749, it is the second cheapest. 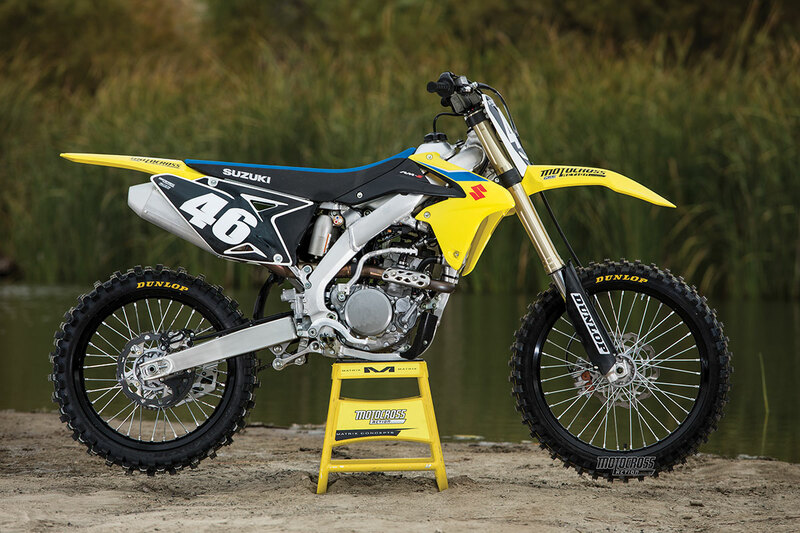 Weight: D At 226 pounds, the RM-Z250 is the heaviest bike without an electric start. 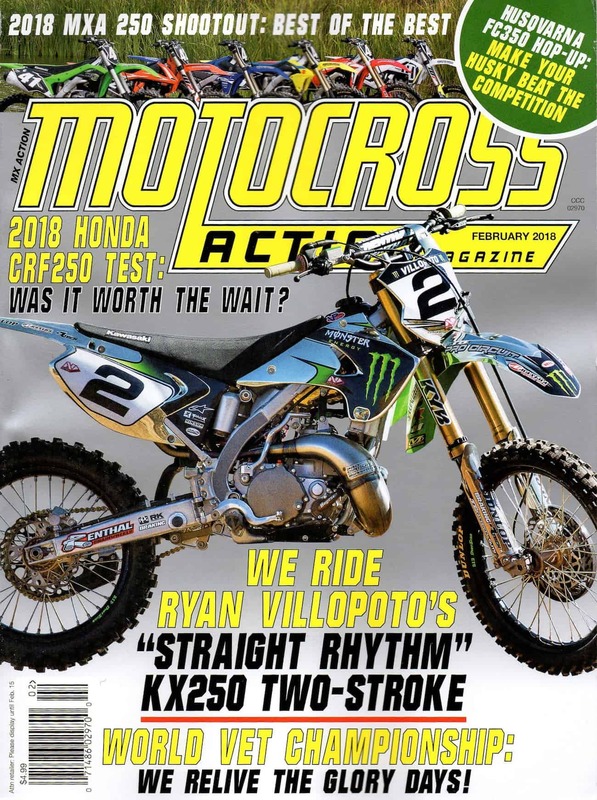 Had you subscribed to MXA, you would have read this complete bike test when in came out back in January. Click the box below to subscribe.